It seems that a lot of people didn’t enjoy Dance of Shadows. It’s set in a tradition first created by Twilight and continued by Fallen, and I read it in the light of this tradition. I didn’t expect to be forced to think about anything and just wanted a quick fluffy read, and this was pretty much what I got. Throughout the story you’re being kept in limbo about what kind of story Dance of Shadows is. Is it a psychological thriller, or a paranormal story? If you read the blurb carefully, you might find the answer – it’s a paranormal story. I’m pointing this out because being able to enjoy the paranormal aspect and being able to suspend belief is important for your enjoyment of the story. If you go in knowing that Dance of Shadows is a paranormal story will make the book a lot less confusing. I read this book when I was in London for the Book Fair, and it was perfect for that. It immediately hooks you in with the premise of disappearing girls and awesome ballet moved. There is a lot of dancing and practice of dancing and descriptions of ballet. I danced ballet for half a year too, and I enjoyed being able to recognise the moves. The ballet focus might be tedious if you’re not interested in dance in any way. Vanessa as a character is pretty bland – she is only the sum of her actions. She comes to New York in search of her sister but for me it isn’t really clear how she is looking for her. She barely does any sneaking around or that kind of thing what you would expect. There is a big focus on the romance, and throughout the story a love-triangle appears. I didn’t very much mind this one, because at no point there is a promise of eternal love. Most of the time Vanessa isn’t sure whether or she is together with her crush, so I didn’t mind her lusting after another boy once in a while. But again, Vanessa is just a bunch of actions concerning both boys, there isn’t all that much in the sense of feelings. I did like that we become to distrust both boys, and Ms Black keeps us guessing which one of them is being truthful until the end. I loved the book for what it was for me, a mindless and easily readable escape from busy London. As for substance, it doesn’t have all that much. 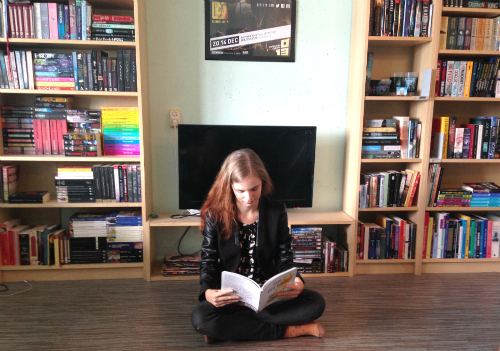 It has to be mentioned though that I read an uncorrected advance reader copy of the book, so maybe the emotional connection with Vanessa is different in the finalised version. 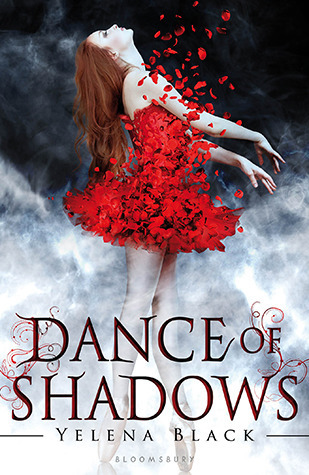 Dance of Shadows is a book that readers of Fallen that also happen to love ballet will eat up.